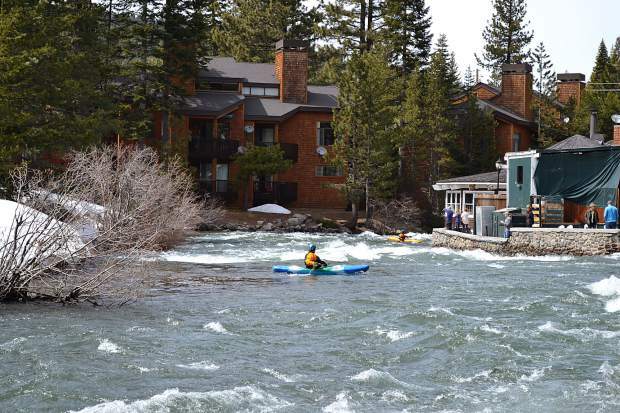 Two kayakers make their way along the Truckee River in front of River Ranch Lodge & Restaurant on Saturday, April 22. Bicyclists traveling between Tahoe City and Squaw Valley this spring may need to find an alternative route. 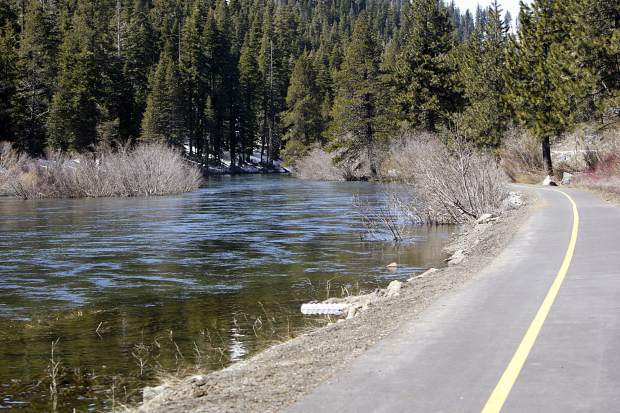 That’s because water traveling out of Lake Tahoe and down the Truckee River has flooded parts of the bike and pedestrian trail along State Route 89. 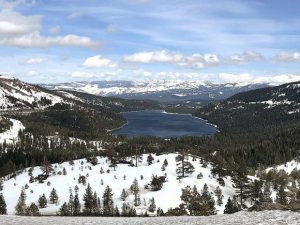 Residents and visitors rejoiced when Lake Tahoe’s snowfall totals hit levels not seen in years, but this summer the impacts of those storms will continue to be seen as the ice melts and the Truckee River continues to rise. The amount of water being spilled from Lake Tahoe was increased April 26 to 2,000 cubic feet per second from 1600. Those figures pale in comparision to the amount of water entering the lake as temperatures warm and snow begins to melt, but the impact downstream is evident. Althof said sections of the bike path are currently submerged in anywhere from 6 to 10 inches of water, and will likely remain that way for some time. Althof said another challenge with maintaining the bike paths this year is that a lot of snow pushed off of the road by snowplows ended up on or near the adjacent bike path. “The Fanny Bridge project is getting underway in a month, so it certainly would have been nice to have that option for pedestrians and bicyclists,” he said. The large amount of snowfall the region experienced this year has other impacts on summer recreation as well. The Tahoe City Golf Course, for instance, is expecting a later opening date while they wait for the snow to melt and for the course to dry out. And as local officials have noted, the size of the beaches around Lake Tahoe are much smaller this year due to the fullness of the lake. “Commons Beach, just like every other, is going to be much smaller,” Althof said. Tahoe City’s Commons Beach is one of several locations in the Lake Tahoe area where bands perform for free during the summer. 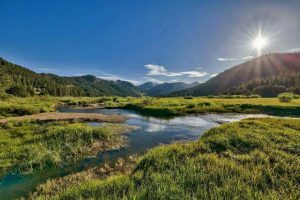 According to data from the National Weather Service California Nevada River Forecast Center, peak snowmelt isn’t expected this year until late May, so the lake and river are expected to remain full much later into the season than in recent years. That could also impact another popular past time: rafting. The River Ranch Lodge & Restaurant are located on the Truckee River just outside Tahoe City, where the water is being released from Lake Tahoe. Haskill said she gets a lot of questions from guests about when rafting will be available. This year, she said, people started asking as early as November. “As soon as it started raining people were asking when we were going to open rafting,” she said. The minimum flow required for rafting, Haskill said, is about 100 cfs. She said the ideal flow is between 300 and 500 cfs, since that’s fast enough to move downstream but mellow enough so that people aren’t in danger. However, with a current flow of about 2,000 cfs, and enough water to make some bridges downstream impassable, no one is sure when rafting will be available this season. “It’s looking like there will be something for rafting offered this summer, but we don’t have an exact date as of yet,” she said.